Tim Carter, founder of https://www.askthebuilder.com, demonstrates how to install a laminate floor in just a few hours. If you're not too handy and feel you can't handle doing this job, click the following link. CLICK HERE to get FREE & FAST BIDS from local contractors who can do a great job installing your laminate floor. DIY laminate flooring, How To Laminate Flooring, Laminate Floor Secrets are all discussed in this three-part video series. Here's the exact product in my man cave. I LOVE it!!! This is the exact product I have in my man cave. You'll trick 9 out of 10 people. They'll think it's reclaimed oak from a barn. CLICK THE IMAGE NOW TO HAVE THIS DELIVERED TO YOUR HOME. 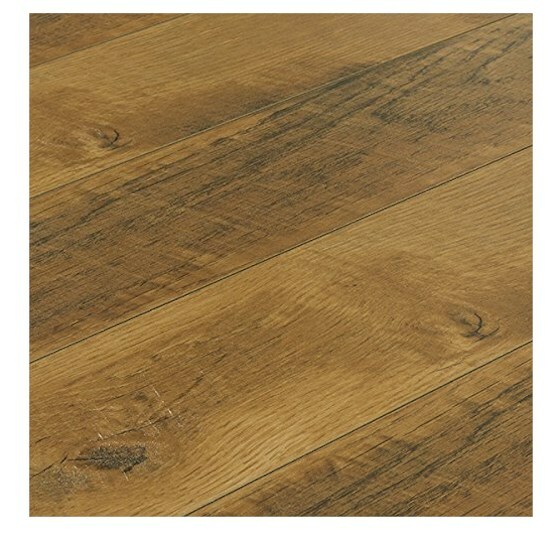 Be SURE to click through to get the Quick Start Guide for laminate flooring here at the AsktheBuilder.com website. CLICK HERE to get FREE & FAST BIDS from local contractors to install your new laminate floor. Hah! It was the darn dust from cutting the laminate flooring. I should have had on a mask, but there were just too few cuts. Tim, Just watched your videos on installing laminate flooring. I will definitely check out the Armstrong product. Great job on the video. I always learn something from them. Howdy Jack! It was a dream putting down that floor. So very simple. The key is ensuring the subfloor is in the same plane. Congrats on your move, but NY's high taxes and dim view of certain parts of the US Constitution make it a no-way state for me! Anyway, from one wood cutter to another -have a great Turkey Day and God bless. As you well know we have very little time in our lives. Thanks for taking the time out to do what you do. Your site is informative and a lot of fun. Your social commentary is also on the money. Thank you thank you thank you. Keep up your great website. I have a settling concrete driveway in different places. The drive is old and I know that time has caused the settling. What's your recommendations for fixing the settled areas without replacing the entire driveway. Do I raise the settled areas by mudslabbing or do I use the polymer concrete raising method? Hi Tim, Keep up the great work and the man cave flooring looks fantastic!!! I plan on using it in my kitchen. My sister and brother in law has a motor home they want to replace the carpeting with your man cave product, will this work for them in their motor home? I see no reason why it wouldn't work in the RV. The floor just needs to be FLAT and in the same plane. Please be SURE to CLICK my affiliate link above to order it so I get something back from sharing all these tips with you. TNX in advance for doing that. I wish someone would show how to laminate a hall way with all the openings. Bet you wouldn't think it was easy then and how do you connect to the next room. What about the threshold? I'm stumped.